The Neolithic Age is the second phase of Holocene geological epoch. It dates from around 6500 B.P. to about 4500 B.P. Climate conditions, flora and fauna in the Neolithic period are the same as conditions we have today. 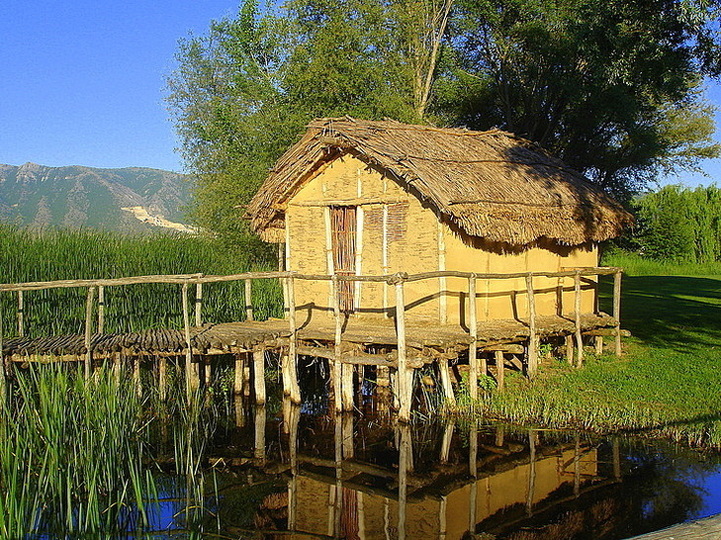 Due to the huge drifts of wood, Central and South Eastern Europe, especially the valley of the river Danube has become a fertile ground for dealing with agriculture and later on with livestock. This space, in a relatively short time became overpopulated. transition on to the system of economy, based on agriculture and livestock breeding. For the New Stone Age, it is connected use of stone as the basic material for making tools and weapons. Therefore, at the same time with the earlier way of processing stone, hewing or carving, a new Neolithic technique was introduced for making stone tools and weapons. This technique was based on a finer stone processing, i.e. grinding or smoothing, polishing, cutting and drilling of stone objects. Besides that, the Neolithic people had a significant progress in the processing of bones and horns. All this meant good preconditions for creating more sophisticated, simpler, lighter, more specialized, and more convenient to use, stone and bone tools and weapons. In the Neolithic age widely were used billhooks, various chisels for carving, sickles, grindstones, hammers, hoes made of stones and bones. Also in this period, they perfected peaks of the bows and arrows. Particularly important place among the tools of the Neolithic Age belonged to the stone axe, which at the beginning was honed only blade, a working part of the axe. While later, they polished an entire surface of the axe. Axe was used for logging, processing of beams for cribs, dwellings, during the construction of cribs, during making of enclosures for captured animals, as well as for making of rafts, boats, skis and sleds. 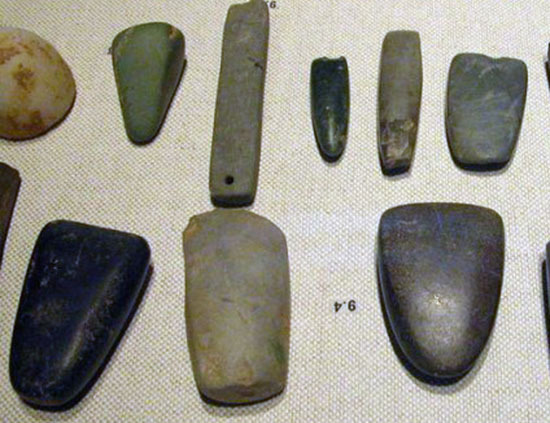 Neolithic people, as material for making tools and weapons, used diorite or igneous rock, mineral nephrite whose colour varied from dark green to black and jasper which is decorative stone, which is usually used for making jewellery. Besides that, they continued to search for flint, which very little available at the time, especially in the surface layer of the earth. This led to the opening of mines in France, England, Russia, and Belgium. In those mines, flint stone was extracted. In the corridors of the mines, it was discovered various wedges, picks, flashlights, shovel made of antlers and other small tools. Almost simultaneously with the conquest and perfecting of new techniques for processing of stone, a new technique was introduced which was related to baking and modelling of clay or making clay dishes. The most common ceramic pottery sites date from the Early and Late Neolithic period. On the introduction of making pottery influenced determination of Neolithic people to live in one place and to engage in agriculture. Therefore, Neolithic people felt the need to make clay dishes, which are watertight, and in which it is possible to cook food. Clay dishes are an invention of women who were housewives, and prepared food for the whole family. Dishes were crafted by hand without the help of the pottery wheel. That is why first dishes were rough, poorly baked and with many other small flaws, but with time, making of dishes perfected more and more. Besides clay, as a material for making the dishes Neolithic people used wood and stone. They made dishes of stone such as cups, bowls and other various dishes, while of wood they made a wood mixing spoons, cups, vases, small water bottles, etc. It is assumed that developed pottery directly affected longer settling of people in one place, and thus the transition from temporary on permanent life in the settlements.